A patient lift with a sling allows seniors to safely transfer from beds and chairs to wheelchairs and commodes. There are multiple slings for patient lifts that you can choose from, so it is essential to explore the options to determine which ones will allow you to safely and comfortably transfer. We have explored several choices to help you find the patient lifts with slings that best meet your needs. Here are six of the best choices on the market. 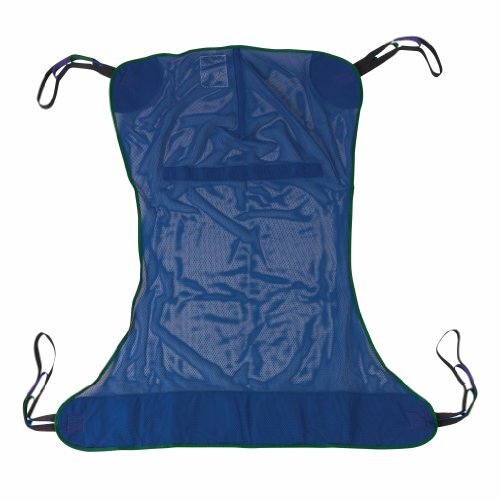 This sling features a headrest, multiple cradle points, and a high weight capacity. Solid nylon construction.Weight capacity:450 lbs. The Drive Medical Dividend Patient Lift Sling is a thick, high quality sling which features divided legs and a headrest for optimal comfort during transferring. This sling has four to six cradle points, and there are four sling points. These features make this sling ideal for a variety of lifts. With this sling, you can lift users from several pieces of furniture, as well as from the floor. It is ideal for transferring seniors from chairs, beds, and commodes due to the split-leg design. The material can resist moisture, so it does not degrade prematurely. It will also not become slippery if it gets wet when someone is in it. You can launder it to keep it clean. This universal sling supports up to 600 pounds and has an easy-to-use U-shape. 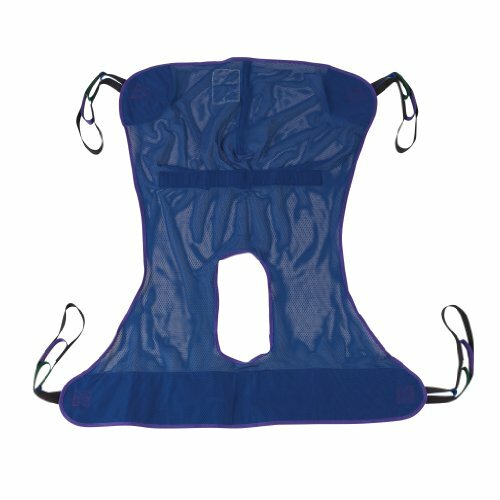 The Padded U-Sling Universal Patient Lift Sling fits most lifts. 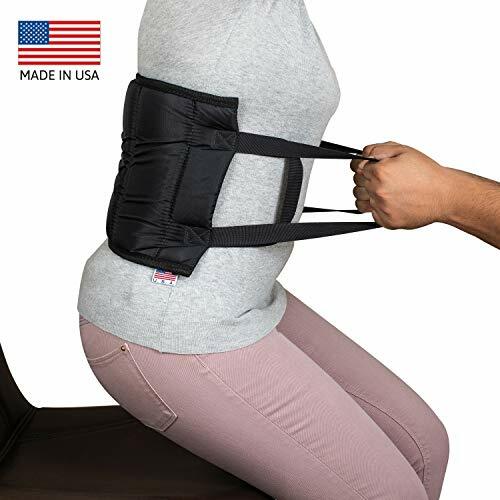 This sling is ideal for seniors who are partially or totally dependent, bariatric, and non-weight bearing, but who have neck and head control. This sling provides sufficient thigh and back support. Use this sling to transfer seniors from a seated position. While it does not have head support, it does have full padding. The wide opening allows you to transfer seniors to and from a commode easily. This sling molds around the person’s body, eliminating the need to move them several times to get them into position on the sling. It provides even weight distribution since it uses four positioning straps. Use this sling to transfer seniors from chairs, beds, commodes, and wheelchairs. Use this device with two-point, six-point, or four-point spreader bars. There are four reinforced attachment points that will keep the sling secure during use. With a high weight capacity, this sling accommodates the entire body. The Drive Medical Full Body Patient Lift Sling does not require any additional straps or chains and offers four sling points, ensuring the sling stays in place when moving the lift. There are four or six cradle points, depending on your needs. 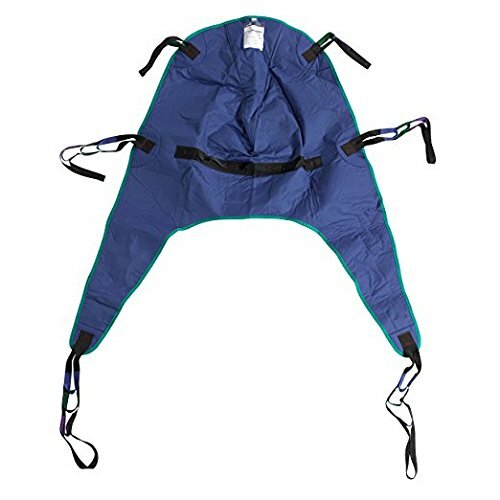 Use this sling to transfer seniors from beds, recliners, floors, wheelchairs, or shower chairs. Caregivers can easily place the person onto the sling, making transfers faster and more comfortable. The sling covers the entire body, so no limbs are hanging off the side. This ability makes this sling ideal for transferring people in small areas and through doorways. The sling is easy to clean, and it dries fast. The person in the sling will not slide should it get wet when they are in it. Easily transfer to the commode due to the commode cutout, and it accommodates the entire body. The Drive Medical Full Body Patient Lift Sling with Commode Cutout is ideal for transferring seniors to and from chairs, shower chairs, wheelchairs, and beds. You can also use this sling for helping seniors off of the floor following a fall. Easily wash the sling so that it remains clean. It dries quickly, so there is only a little wait until you can start using it again. Use four or six cradle points, depending on patient weight and preferences. 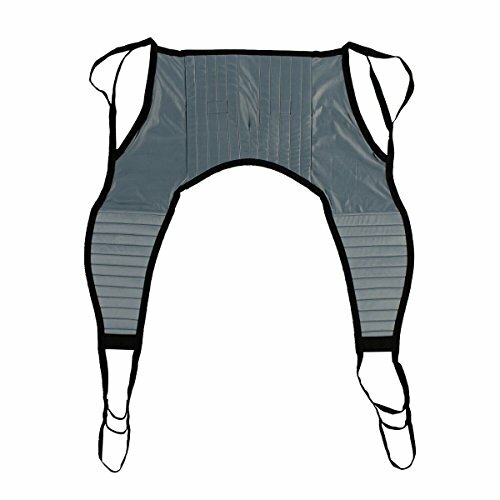 The mesh design ensures that the sling is breathable and comfortable for those using it. The commode cutout makes it simple to transfer seniors to and from a toilet. This cutout also makes transferring to and from a shower chair more efficient. The scaled-down size doesn’t stop this wheelchair from being comfortable and coming with features you’d expect. The Bestcare Basic Sling is ideal for bariatric seniors who need help repositioning and transferring. This sling provides optimal weight distribution due to its four loops. This feature also promotes greater comfort. This sling has a U-shape, so it will work for transferring to and from chairs, beds, and commodes. You can also use this sling to help seniors get up from the floor following a fall. Use this device with four-point and two-point spreader bars to optimal versatility. Caregivers typically find it easy to position the sling around the patient due to its simple design. Once the senior successfully transfers, they can remove the sling quickly and without the senior needing to move a lot. This feature makes usage safer and more comfortable for both parties. This small transfer belt allows for easy transferring since you can quickly put the device into place. The Patient Lift Sling Transfer Belt allows caregivers to transfer and reposition seniors quickly. This device allows for safer movement of seniors and greater safety for caregivers. This device reduces back, shoulder, and neck strain for caregivers. The belt easily goes behind the senior, and once it is in place, it does not slide around. This feature is due to the non-slip fabric. The belt has padding, so this promotes comfort for seniors during transferring and repositioning. This belt is easier to use compared to a traditional sling. It does not have to go under the person, so there is less moving around. This ability allows seniors to transfer faster and with less discomfort. When you are looking for a sling for your patient lift, there are several factors to consider. Having all of the facts makes it easier to choose the right sling. Full body slings come in different sizes and shapes. The type that has a square shape allows the senior to lie in the sling during transfer. This shape provides more support, especially for the head and back. The universal type is similar to a U-sling since it goes under the senior’s legs. This type provides additional stability for the caregiver and the person in the sling. This type puts less pressure on the body, and it ensures better weight distribution. The U-shape sling is versatile, making it an ideal choice for most seniors. It crosses under their legs, but there is no head support, so those using it need to support their head. A polyester mesh is the best choice if the sling will get wet a lot. This material dries easily, and it is breathable, to prevent moisture from accumulating. Padded polyester promotes comfort for those in the sling. This material is also easy to clean. One benefit of this material type is that it can reduce cross-contamination and resistant infection due to its ability to resist germs. Padded slings are an ideal choice for seniors that have sensitive skin since they make lifting more comfortable. However, these slings should not get wet since they may trap moisture and take a long time to dry. It is crucial that the size and weight capacity of the sling be able to accommodate the senior you are transferring. Seniors who weigh 300 pounds or more should consider a bariatric sling since this type is better able to accommodate them comfortably. Make sure that you look at the specifications for the sling to determine its weight limit. If the person in the sling is too heavy for it, this could cause it to break, resulting in potential falls and injuries to the senior. Attachments points are also the cradle grips. The cradle, or spreader bar, is the part of the lift that you attach the sling to. You will usually see lifts with two, four, or six cradle points. Depending on your lift, you want to make sure that the sling you choose has enough straps to go onto each of the attachment points. Use this information about patient lifts with slings to choose the right device. This ensures safer and more efficient lifting and transfers to enhance your mobility.